﻿ Over the last year, I’ve had the privilege of spending some time on a leadership programme with the NHS Leadership Academy. One of the things it has helped me to do is talk more openly and honestly about what is important to me, what shapes me, what makes me – me! I have spent a great deal of time thinking about the word ‘authenticity’ and how I can be true to my deeply held values, no matter where I find myself, or whose company I may be in. I did most of my ‘growing up’ at University with an incredible set of friends, who have remained at the core of my life. One of our founding principles as a bunch of mates was that we would not do fear or shame, but that we would be honest and open with each other about whatever we were going through. I found myself being able to talk about stuff that had been bottled up for years and making me feel rubbish about myself and as I did so, I found I was loved, not for what I did or performed but for who I was – just me, as me. This kind of open and honest vulnerability sits as one of my core values in leadership because I believe it keeps me humble and permissions others to open up also. For some, there is a fear that if you show weakness, others may turn it against you – but that is a voice of fear that I personally will not succumb to. The depth of relationship that we form in any team is determined by our own ability to open up and show our true colours. I believe that being honest about where we are failing or weak allows others to be honest too and it makes us more human, builds connection and allows us to build team with real integrity. Personally, I am continually influenced and changed by that man, Jesus. In the Gospel of John, we are told that any time anyone questioned his identity, his legitimacy or his authority, his answer was simple: I am, who I am. 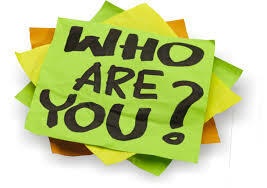 For us to be authentic, we need to know who we are, so that whoever we are with, we remain true to our core values. Throughout our life’s journey we are continually challenged to decide which way we will walk. Will we walk the easy way of life, in which we allow our ‘ego’ to remain in tact and have people see a projection of ourselves? Or will we choose the more difficult but life-giving way, of letting our ego be stripped back, so that our true self can be seen? What I have witnessed over the last few years, is that leadership can rob people of their humanity. The structures we work within can end up dehumanising us, as the ego becomes puffed up and we find ourselves protecting the image we have projected. As we climb the ladder of responsibility, we can begin to modify our behaviours and as we do so, we begin to subtly let go of our core values. Perhaps we forget where we came from, or we feel the need to protect our position. Perhaps, we’ve never dealt with our own sense of entitlement or the privilege of our background which helped to propel us into positions of influence in the first place. Perhaps we never really confronted our own shadow and have carried on building our own ego project, which somehow permissions us to act in very unhealed ways. Perhaps we get proud and lose the humility to accept that we don’t know the answer to many of the questions thrown at us, but instead of opening up the conversation towards a collaborative process, we lock down the control and increase the demands on our teams. Whatever the reason, hierarchy so easily dehumanises us, unless we work really hard to subvert it. There is a real art to leading in the midst of complexity, due to the interplay of mechanistic structures and the living systems of which we are a part. The ability to resist the the demanding expectations of the behavioural norms of the machine, whilst ensuring the job gets done and setting a culture of kindness, openness, trust, honour, joy and dare I say it, love, takes bravery, time and audacity. All too often, especially at a regional and national level, I am seeing that people seem to forget who they are and begin to behave in ways that lack authenticity, treating those who were their peers, only a few months previously with disdain. I tire of seeing people talk down their noses at others, or gather people into a room to shout at them, as if this is an effective means of communication. When we see it, we must call it out. We must subvert it before submitting to it. Only by doing so, will we expose it for the phony, imperial nonsense that it is and find a way through to a kinder, more human way of leading. As my great friend, Roger Mitchell says, “Love is the purpose of everything.” A great question for leaders is, “How much love am I loosing here?” If the answer is, “not a lot!”, then maybe think about why on earth you are leading and how you might do it a whole lot more authentically!